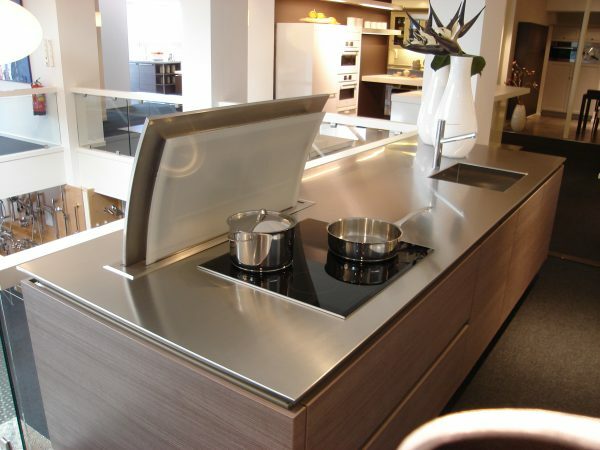 A stainless steel kitchen sink worktop can be produced in various dimensions with various edge profiles, edge heights, and with various surface finishes. 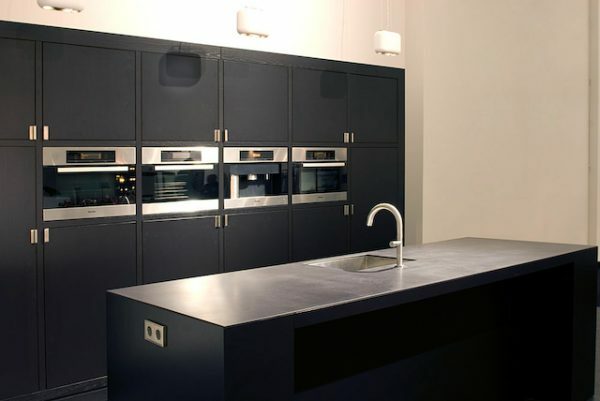 Produced in various dimensions with various edge profiles, edge heights and with various surface finishes. The stainless steel sinks are welded into the stainless steel kitchen sink worktop, creating a seamless transition between the stainless steel sink and the stainless steel kitchen sink worktop. 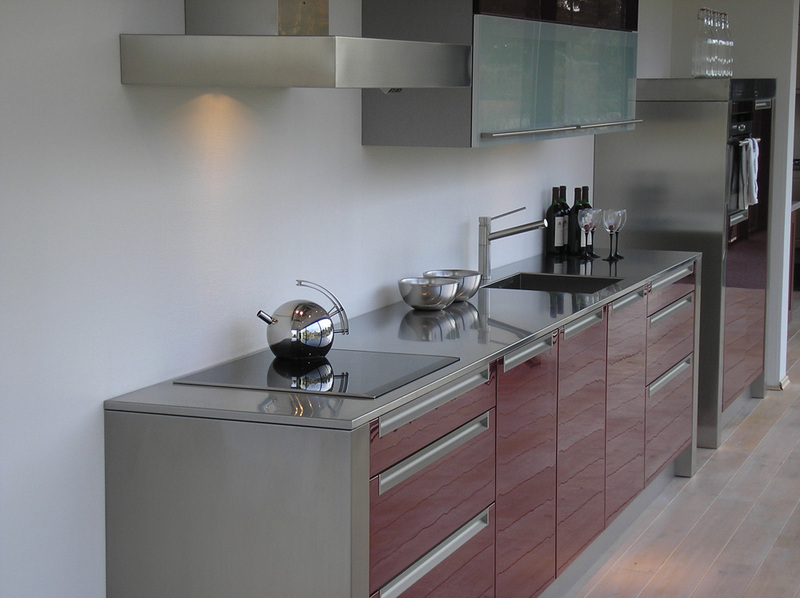 The stainless steel kitchen sink worktops can be produced in a thickness varying from 12 mm through 200 mm (depending on the width of the top). 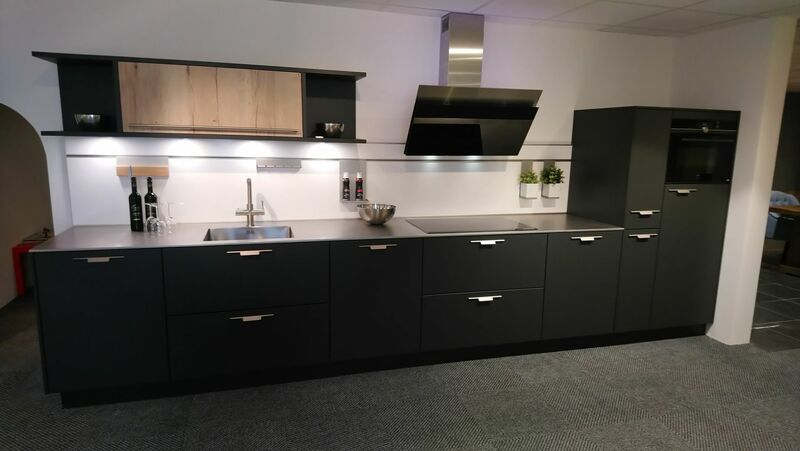 We also offer a 4-mm thick massive stainless steel kitchen sink worktop with a stainless steel sink welded in perpendicularly, which can be entirely custom-made (stainless steel corner tops not possible). In the case of an edge thickness of 80 mm or more, electrical sockets can also be installed in the front edge of the stainless steel kitchen sink worktop, which is very functional. 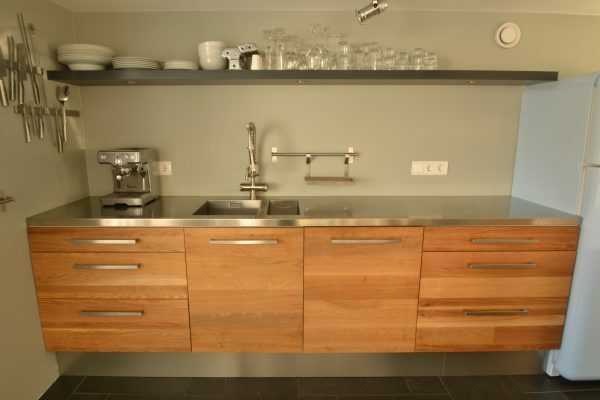 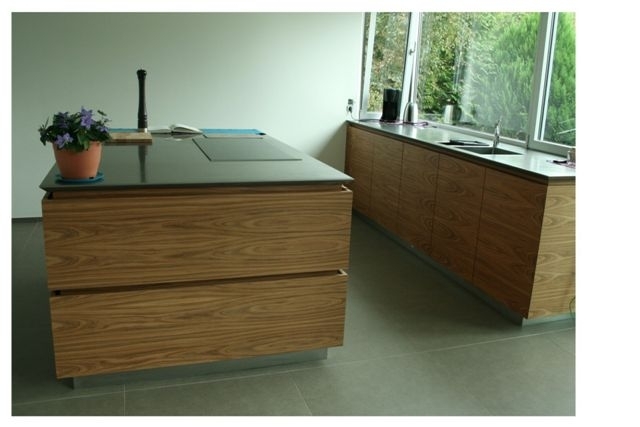 The stainless steel kitchen sink worktops can also be outfitted with a block profile. 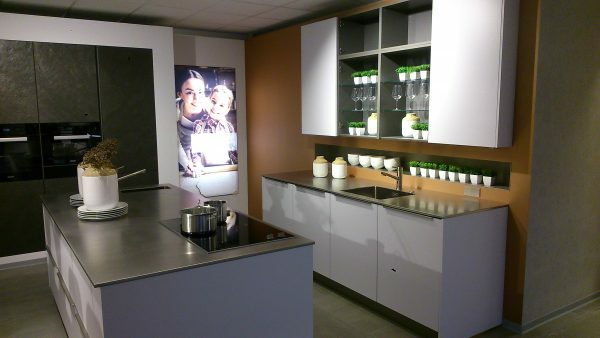 This profile can be produced in various thicknesses and widths. A 4 or 8-mm deep raised edge at the front/back or around the entire circumference of the stainless steel kitchen sink worktop is also available.